I had heard good things about Crawford’s earlier book, Shop Class as Soulcraft, which began as an essay he wrote for The New Atlantis. But I never got around to reading it. I should have. 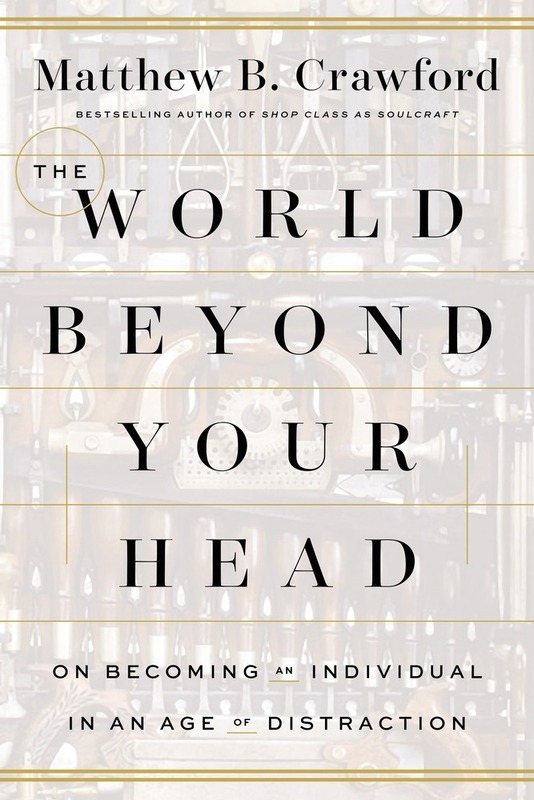 This new book, which builds upon the argument of the first, takes up very concrete examples of short-order cooks, motorcycle drivers, casino gamblers, and glass blowers to show the reader what’s lost when our attention is redirected away from physical objects and onto representations. I can’t do the argument justice in this short space, but it’s also about personal freedom and our connection to other people. It’s brilliant. Read an excerpt here. 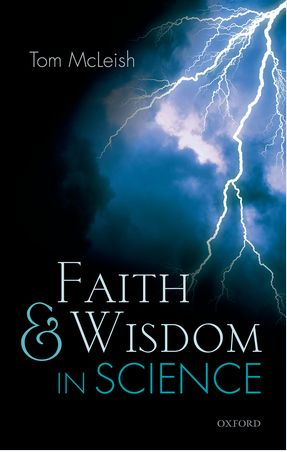 McLeish turns the whole debate between science and religion upside down by showing how the writers of the Hebrew Bible, in particular the wisdom books, engaged with the natural world in ways that comport with modern scientific inquiry. He also explains how theology can provide something essential for science—a “ministry of reconciliation” for a broken world. Suddenly, the age-old debate no longer seems stale. Listen to my hour-long interview with McLeish here. My pastor is basing his current sermon series on this book. I have to say that I am not loving it. I find polling data to be problematic, to say the least, especially when its divorced from actual patterns of behavior, which are far more important. (Key example: the divorce rate between nominal Christians and the general population is the same—until you factor in frequency of church attendance, then the number drops considerably.) At times, I am not sure how to read some of his findings against reports of belief in conspiracy theories. Even if you take the numbers seriously, how have they changed since the book was published eight years ago, in 2007? These things go out of date fast. His cohort of 16- to 29-year-olds is now out of college and presumably “drifting into parenthood.” Still, I think his general criticism of some Christians’ failed or off-putting engagement with culture is fair. Plenty of fodder for criticism and embarrassment, and plenty of room for improvement. What are the opportunity costs, though, of concentrating too much on “first-world problems,” de rigueur notions of sexuality, and mere opinion (over fact)? “Mad Men is a show about writers dependent on advertising, written by writers dependent on advertising, the difference being that the fictional writers of Creative write the ads on which they depend.” On a bus ride back from New York City, I enjoyed this long review of Mad Men, which was written before the series came to an end. The writer offers many fine insights about how the show succeeds and how it fails. Some may identify with the LRB’s initial dismissive take on the first season, as I do, but the show eventually won me over. It depicts, with considerable nostalgia, the diverging social and familial realities of the upper and lower classes that Charles Murray describes in his outstanding book Coming Apart.